Los Angeles, CA – January 28th, 2016 – From the makers of Survival Run with Bear Grylls and Stan Lee’s Hero Command, F84 Games is pleased to announce its latest title – Crazy Train – for the Nintendo 3DS family of systems. 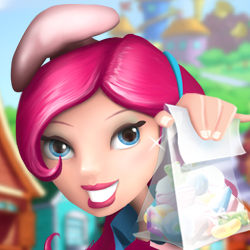 Perfect for on-the-go players or those looking for a quick burst of gaming, Crazy Train is an easy-to-learn and hard-to-master puzzle game that tests your wit, reaction time and coordination. 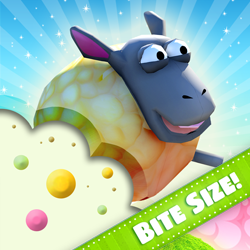 Crazy Train is available from today at $1.99 in the Nintendo eShop and the Nintendo DSi Shop. Originally developed as a passion project at F84 Games, the team wanted to develop a retro handheld game that was easy to grasp but also fun and frantic. Ever wondered what it’s like to be the master of travel and direct your own fleet of trains? Well now you can get onboard as Crazy Train invites you to put your thinking cap on as you guide hopeless train conductor, Leon Steeltrack, to navigate the busy railroads like a maestro. The goal is to help Leon guide passenger and cargo trains to their correct stations throughout the day without any collisions or wrong stops. As your skills pick up, so will the pace of coordination, frequency and speed of trains as they chug through the stations. There are 4 unique track layouts for gamers to complete, and fans can also take part in a challenge mode where the difficulty and speed is ever increasing. With the proper concentration and practice players will become a fast and furious master engineer and king of the railroads! 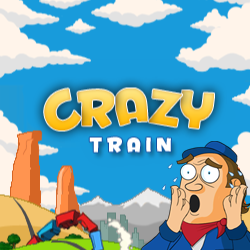 Crazy Train is available now in the Nintendo eShop and the Nintendo DSi Shop at $1.99 or 200 Points.